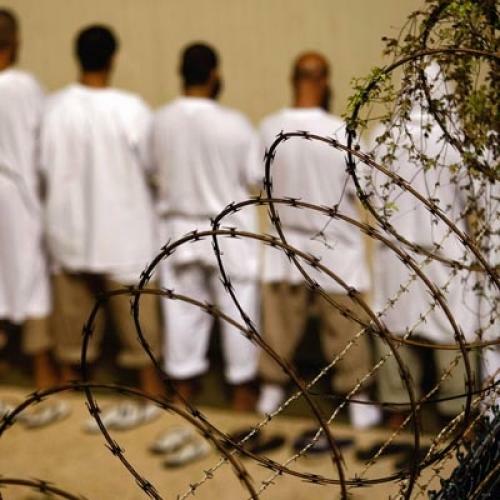 The ethics of Guantánamo coverage. Domscheit is Daniel Domscheit-Berg, Assange’s former Number Two at WikiLeaks and author of a compelling new tell-all memoir in which he describes how he became disillusioned with Assange’s paranoid megalomania, secretive resistance to transparency, political partisanship, and proclivity for concentrating power in his own hands—all the vices WikiLeaks was established to oppose. The “8 group coalition” is a group of news organizations, such as the Telegraph, with whom Assange is still on good terms and to whom he had promised the Guantánamo documents on the condition that the recipients respect an embargo imposed by Assange himself. The tweet suggests that Domscheit-Berg, or another disaffected former WikiLeaks staffer, may have given the documents to the Times, and that Assange suddenly lifted his own arbitrary embargo when it looked like he might be scooped by the former colleague who turned on him. This isn’t the first time that WikiLeaks has threatened privacy by publishing unreliable or inaccurate information in the course of its massive document dumps: Assange provoked anger in Belgium after WikiLeaks published the police file of a Belgian politician later cleared of allegations of pedophilia. And, as Domscheit-Berg reports in his memoir, another WikiLeaks exposé mistakenly identified a German citizen as a tax evader after a source confused him with a Swiss citizen who shared the same last name. In his book, Domscheit-Berg describes how he and another disaffected former WikiLeaks colleague have started a new organization, Open Leaks, designed to preserve the benefits of WikiLeaks while avoiding its costs. Open Leaks is not a publishing platform and therefore does not enable document dumps: Rather, it provides an encrypted drop-box that allows anonymous sources to deposit sensitive material and then to specify the institution—from The New York Times to an NGO—they think best-equipped to receive it. By separating the receipt of the documents from their publication, Open Leaks makes it more likely that documents will be responsibly edited and analyzed by organizations that have the time and inclination to make responsible judgments about what sort of publication is in the public interest. And it tries to avoid the centralization of power that made Assange more focused on his own global celebrity than on the consequences of his unedited data. Of course, the refusal to edit shouldn’t be a crime, and the difficulty of distinguishing the Times from Assange as a legal matter shows why threats to prosecute the WikiLeaks founder under the Espionage Act are wrong-headed and dangerous. But, as an ethical matter, the very different treatment of the Guantánamo documents by the Times and WikiLeaks provides further evidence, if any more is needed, of the difference between responsible and irresponsible journalism.